It’s the season of love, and one of the best ways to show your love is by gifting them something that will make them happy. But it’s very difficult for some to find the right option. That’s where gift guides come in. The one we’ve created here is meant for tech lovers, and moreover, we’ve divided the choices into four categories to suit every budget. We have two options present in each category, so there are quite a few options for you to choose from. Without wasting any more time then, let’s get going with our Valentine’s Day gadget-gifting guide. In times of need, a power bank can be the best companion to have. It saves you the hassle of trying to find power outlets everywhere you go, and also serves as a saviour when your phone’s battery is about to die and you need to make an important call. Xiaomi’s Power Bank 2i has the perfect size and capacity for a regular power bank of today. It has two USB outputs, with both of them offering fast charging support. And its 10,000mAh capacity is enough to charge an iPhone more than three times over. Despite its high capacity, this power bank weighs in at just 245gms, which is a plus. The market of smartphone cases has grown a lot over the years. There are a number of options out there that allow you to not just have your phone protected from drops, but also make an artistic statement with their varied designs. Websites like Daily Objects offer stylish cases for all major smartphones available out there. And they even allow you to customize your offerings. This way, you can have your cases adorned with photographs or designs of your choice. For fitness buffs, a fitness band is the best gift to give. And the most value-for-money tracker out there is of course the Mi Band 3 (review). It sports a 0.78-inch touchscreen OLED panel, and even features a heart rate monitor for checking your vital signs. More importantly, it tracks your steps and calories, giving you a clear view of how you are faring in your quest to keep yourself fit. The additional benefits of this waterproof fitness tracker include call and notification alerts, sleep analysis, alarm support and more. Quality earphones are hard to find these days, with the market having been flooded with a plethora of options. But you can rest assured that the 1more dual-dynamic earphones (review) offer spectacular output. Their dual driver nature ensures that the sound is extremely balanced and accurate at all times. These earphones are comfortable to wear as well, and they come in a neat carrying case. They do have a mic onboard, apart from a three-button in-line remote control. If speakers are to be your Valentine’s gift for that special person, let them be the UE Wonderboom speaker (review). Their unique design makes for 360-degree sounds that fill up the entire room. And if closed-door gatherings aren’t their thing, the Wonderboom speakers are also apt for pool parties due to their IPX7 waterproofing. These Bluetooth speakers have been equipped with a battery that can keep them going for more than 10 hours on a single charge. Among all modern gadgets, smart speakers are the most interesting. They answer your questions, play the music and TV shows of your choice, control other smart gadgets in your house and much more. The Google Home (first impressions) is equipped with the services of Google Assistant, which has proven itself to be the best personal assistant out there. And in case you’re worried about it not being able to recognize your voice or accent, you need not be. It can be calibrated to know your own voice, and supports various languages and accents. This one slightly exceeds the Rs 10,000 threshold, but it’s truly an excellent gift to give to reading buffs. 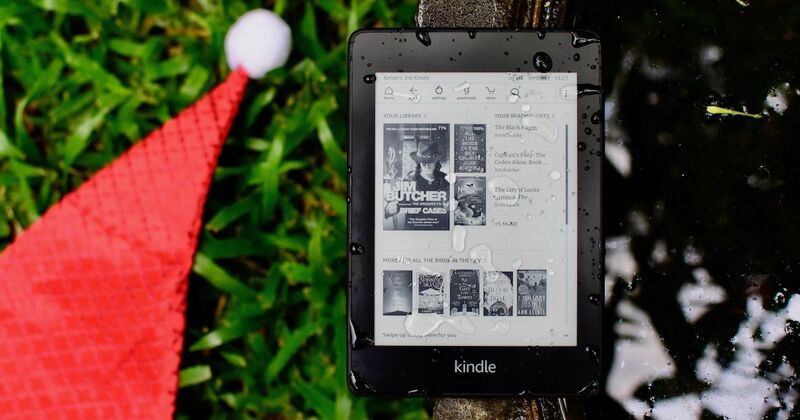 Over the years, Amazon has been perfecting its e-ink displays, and the Kindle Paperwhite’s 300ppi panel is the epitome of this technology. Its built-in adjustable light makes reading during the night a breeze, while its anti-glare nature enables reading under direct sunlight as well. The battery life of this gadget is good enough to last you for more than a month. The Kindle Paperwhite (review) is moreover a thin and light device, which makes it comfortable to hold it in one hand for hours. So that was our Valentine’s Day gadget-gifting guide. We hope to have given you the right ideas for purchasing the perfect gift for your loved ones.